Developed, tested, and used by firefighters. 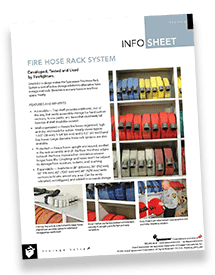 The simple, ingenious design of our Fire Hose Rack storage system was created in collaboration with working firefighters. 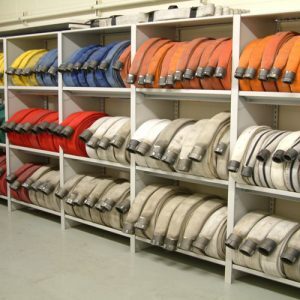 It offers a space-saving, cost-effective alternative to other fire hose rack storage methods. Slow down buddy, where’s the fire? 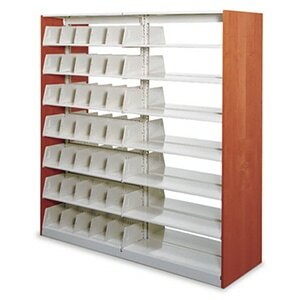 Oh, you’re looking for information on Fire Hose Storage Rack – we’ve got that right here. 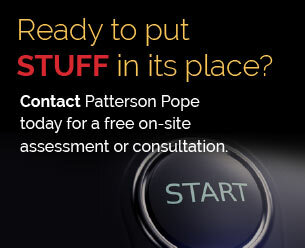 You can download the Information Sheet right away. 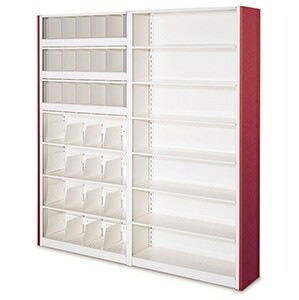 The Fire Hose Rack storage system from Spacesaver® keeps fire hoses organized, dry, and ready for action. 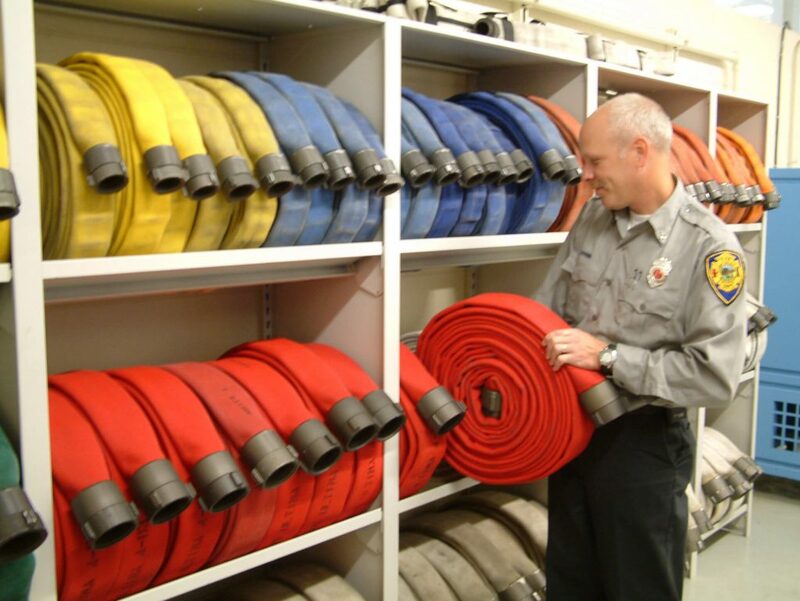 The fire hose rack system enables fire departments to store typical 1-1/2 in. (38mm), 1-3/4 in. (44mm) and 2-1/2 in. 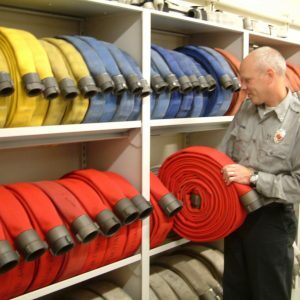 (63 mm) hard line hoses. 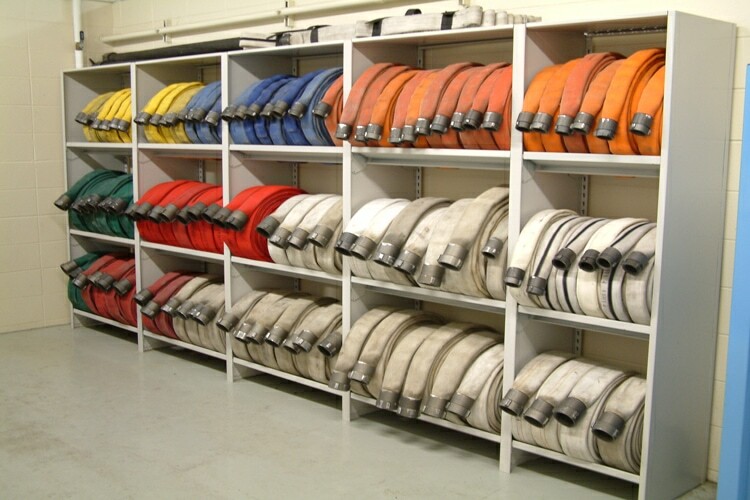 Large-diameter industrial hose rack systems are also available for an effective firehouse storage system. The canopied top shelf provides additional storage for hard suction sections, hi-rise packs and more, while also acting as a dust shield.